There are so many ways to make Christmas magical for your little ones. I feel like a kid again myself when I see the sparkle in my girls eyes. Here are 20 ways to fill their hearts and lives with the magic of the season. Crepe paper the door for Christmas so they have to bust out when they wake up. Tell them Santa did this to make sure they stayed in their rooms. 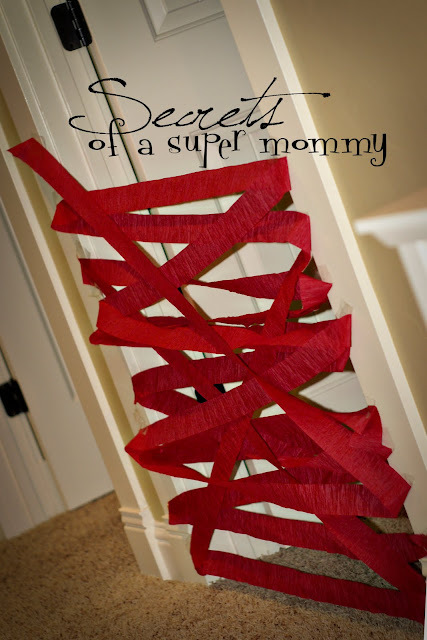 We started this tradition last year after I saw it on Secrets of a Super Mommy, and my girls loved it! Make reindeer food for kids to sprinkle in the yard. We made a version of this last year, but I really like how The Girl Who Ate Everything thought about the birds and used colored sugar instead of glitter. 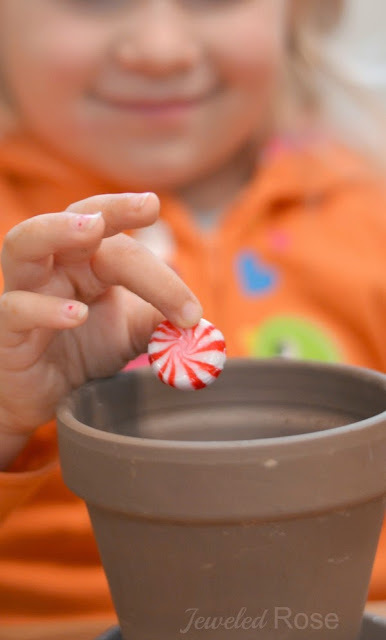 Grow a Candy Cane - We did this for the first time this year..... and then we did it again! My girls loved this magical bit of holiday fun and your kids will, too! 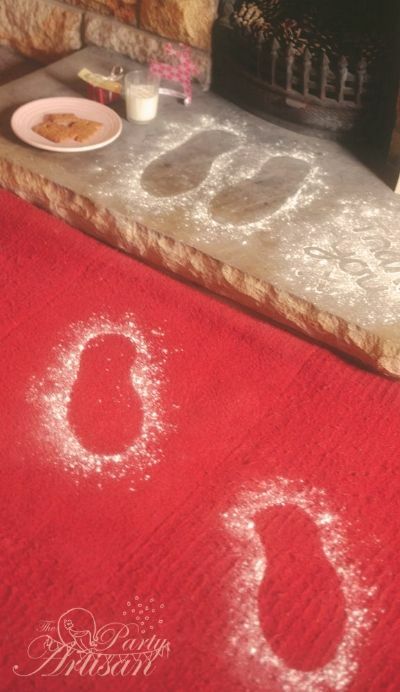 Leave Santa's footprints behind I mean really, what could be more magical? Such an utterly adorable idea! 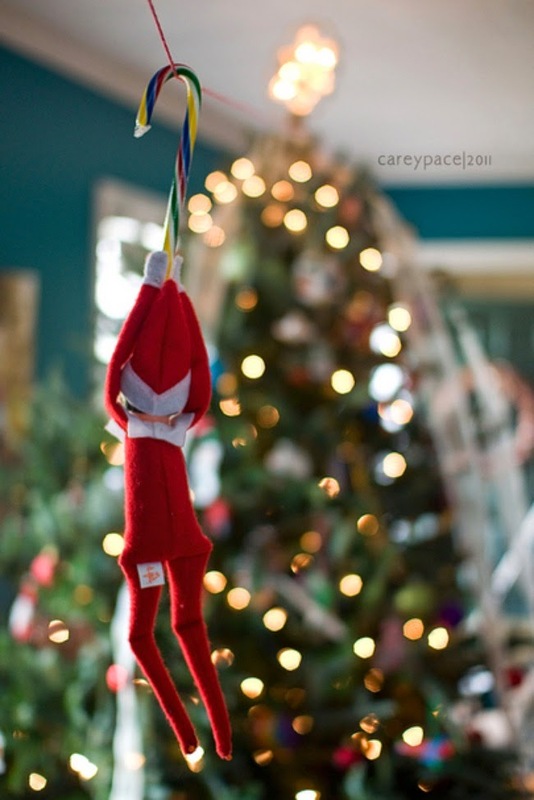 Start the Elf on the Shelf Tradition- This is one tradition we haven't started yet, but I think we are really missing out. The whole family has fun with this one, and it is oh so magical for the kids! I am sure you have seen many amazing elf ideas floating around; here is a great collection featuring 30 of the best from Tip Junkie. Snowman Gift Tower- What a super cute way to wrap Christmas presents! Can you imagine the delight on kids faces when they discover their snowman? Don't forget to make one for each child. 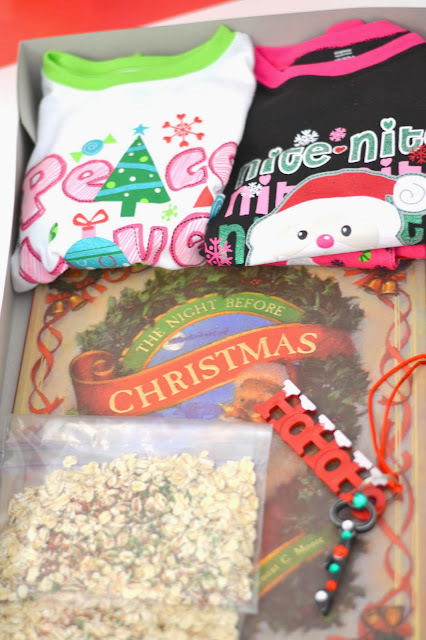 A Christmas Eve Box- Put together a Christmas Eve Box for kids to open- include new pj's, a holiday book to read before bed, reindeer food to sprinkle in the yard, Santa's magic key.... lots of other ideas of things to include here, too! Such a fun family tradition! A Special Christmas Breakfast - Just looking through this collection of Christmas breakfast ideas from Kids Kubby is enough to make me smile. The only problem now is deciding which one to make for Rosie and Jewel this year. Call or write Santa- This is a free website where kids can actually talk on the phone to Santa and hear his voice. They can also write him and even get a letter back. How magical is that? Capture the Magic- Capture the Magic is a website that actually puts Santa in YOUR picture. 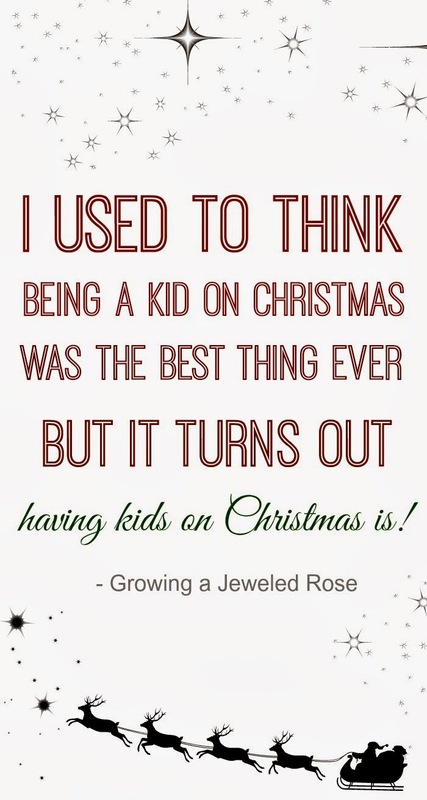 If your little one is ever starting to question the magic of Christmas this will surely get them believing again. We did this last year just for fun! 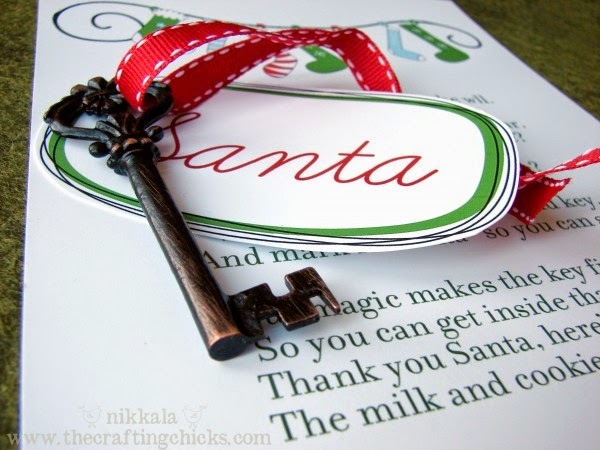 Santa's Magic Key- How does Santa get into the houses that don't have chimney's? With a magic key of course! Download the poem and tag and all you will need is a key! Reindeer Bags- What a fun and magical way to pack kids lunches in December! I love this idea from Enumclaw Second Relief Society. Santa's official reindeer cam- Visit this site anytime to see the reindeer or at set times to actually get to SEE SANTA feed the reindeer. So magical! Being a parent at Christmas is truly amazing, and these are just a few ways we can make it extra magical for the kids!